See, I made a choice when I was perhaps too young to know what I was getting into to not run and hide from what was ugly in this world and confront bullies and injustice when I could. 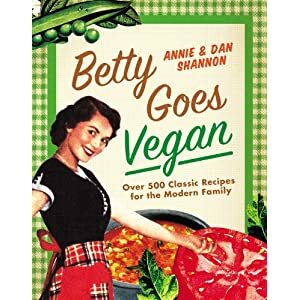 I won't bore you with all that but I talk about it in the interview I did for this year's Veggie Girl Power Series if you would like to know more. I will tell you something happens when you start realizing the world is unfair. It can be really hard on a soul to see indifference to suffering everywhere and it can be oddly empowering when you see ways you can make a difference just by eating differently and paying more attention to what and who your money supports. Last week, I had over 100 people send me emails that while probably sent with good intentions flooded my email with photos from factory farms and vivisection labs. The idea that I would say there was Good News in the world for animals some how offended them. It broke my heart. Not because I've never seen these images before. I've been active in the animal rights movement for over 20 years now. I've actually seen the images that are too graphic for animal rights groups to put out into the world. What really hurt me is that as a movement, we are so overwhelmed by the injustice animals face that we can't seem to celebrate any good news in anyway - even on a lighthearted cooking blog - without feeling a need to point out that there is still a lot of work to be done before we can call this a compassionate world. Just weeks before the annual Canadian Seal Slaughter is scheduled to start, Ryan Cleary, a member of the Canadian Parliament who represents one of the regions in which the seal slaughter takes place, has acknowledged that the tremendous outcry against beating and shooting baby seals has him questioning the future of the bloody massacre. Says Mr. Cleary: "Part of our history is also whaling, for example, and the day came when the whaling industry stopped. Now, is that day coming with the seal hunt? It just may be." Please click here to tell Canadian Prime Minister Stephen Harper that yes, the time has come to send the seal slaughter the way of whale slaughter and ban it before the next massacre commences this spring. I actually worked on a campaign to end the Canadian seal hunt a few years ago and can tell you this is amazing news! 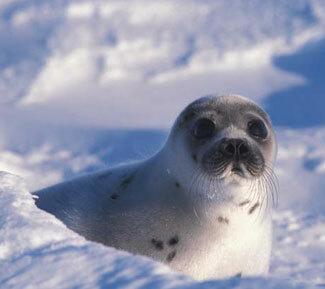 It gives me hope that someday seals in Canada can be left alone to live their seal lives in peace. PS - Don't worry there is a recipe coming this afternoon and I'm sorry if this offended anyone but I thought about this for like a week and I needed to get this off my chest. I get so annoyed by the AR folks who refuse to focus on the good stuff we're doing. Of course, there are millions of animals who suffer daily. But each little life counts. And when one is saved, we're succeeding. Staying angry all the time can lead to burnout ... and that doesn't help anyone. Your comment about the dogs being saved reminded me of the parable about saving starfish. Sometimes hardships are overwhelming, but you can't let that stop you. We love your blog! Sometimes I feel guilty focusing on the good stuff, as if that means I've somehow forgotten about the millions of animals that are still suffering. Logically I realize that makes no sense, it's just a mindset I get stuck in... and I'm really grateful for animal lovers like you who take the time to remind me that it truly is okay to celebrate the successes!